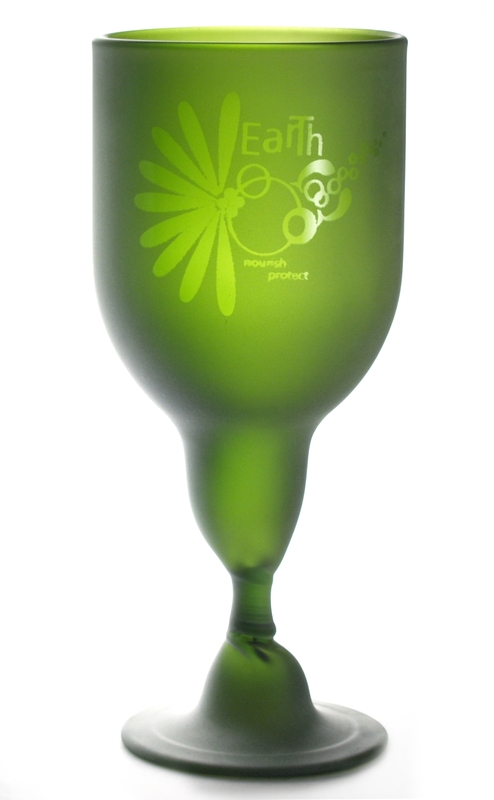 This fun goblet set is perfect for summer picnics, lazy days by the pool and even everyday, indoor use. Through a partnership with Cave B winery, these goblets were created from reclaimed Bordeaux bottles collected from the organic restaurant, B&B and tasting room on the Cave B estate. The playful design celebrates the commitment to the planet and carries the words "Earth. Nourish. Protect." Not only are these glasses environmentally friendly, but fun to use.